One sure sign that you’re in a Vietnamese bakery is the fragrant aroma of fresh pandan waffles, made to order in a flash–hot off the iron, and invariably just in time for you to enjoy as you wait for your banh mi to be stuffed with thit nuong, pate, and pickled vegetables. Pandan (la dua) is an extremely common flavoring herb with the aroma of vanilla and coconut and is often used to flavor many desserts, and goes particularly well with coconut. Steeped like tea, you can also grind the leaves for get pandan juice, a much more potent flavoring and coloring agent. In America however, most pandan is found in the frozen section of Asian markets and does not have the same punch as fresh pandan. Pandan extract can also be used, in combination with a bit of green food coloring. We love kitchen gadets and Kim found this waffle iron for $5 in an after Christmas sale. After making our first batch, this waffle iron literally paid for itself, love it! 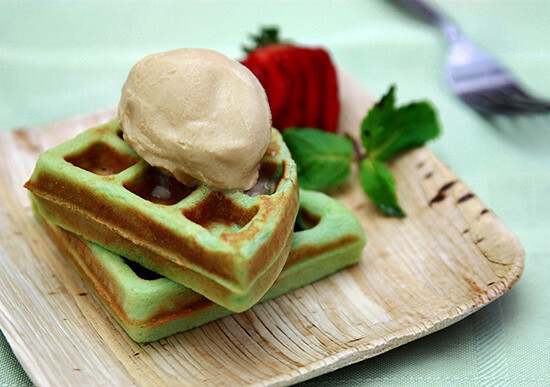 In this recipe, we cheated and used waffle mix as well as both frozen pandan leaves and extract. Andrea Nguyen has a recipe from scratch. Jun blog has a nice post on making pandan juice if you want to avoid green food coloring. Snack right off the waffle iron or like us, who love hot and cold desserts, with a scoop of ice cream. In this case, we had home made dulce de leche ice cream and the fragrant combination of pandan, coconut and sweet caramel of dulce de leche was divine! In mixing bowl, combine batter, eggs, oil, and steeped coconut milk. Add additional pandan extract and food coloring and mix well. It should be like a pancake consistency. Spray waffle iron with cooking spray and follow waffle iron instructions. Serve immediately. *Cooks note: Waffle mixes may vary so follow instructions of your waffle mix and substitute water with coconut milk. If making pandan juice, you will have to adjust the amount of coconut milk appropriately. If making many, keep on cooling rack so it doesn't go limp and soggy. Another amazing thing I had never heard of, but just looking at your post, I think I can smell them! Pandan and waffle, coming together beautifully! @Joy: it's so simple to make, just a nice twist from your traditional waffle. I love pandan anything! Surely these waffles rock! I rally have to grow pandan. Thanks for sharing! I made pandan macarons before. Too bad they are not PURPLE! NICEEEE! Pandan is love. Gorgeous waffles!! How remarkable… I was just reading about pandan on Lorraine's Bali post… I had never seen the beautiful leaves before or tasted it. It seems like the food spirits are telling me to try this recipe. They look perfect (wow $5 for a waffle iron… awesome). Great photos. 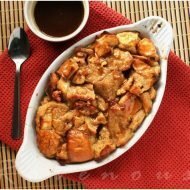 I can only imagine the amazing aroma – this sounds like heaven! @annapet: sigh, yes, if only we can make it in purple for our wedding.. lol. @gastronomy: ha! martian green is the perfect color. @Lostpastremembered: yes, you must try pandan–it has a subtle marvelous flavor and aroma. @oysterculture: stop in your local Lee's sandwiches and they have them hot off the iron. i just woke up and came across your post… your pictures spoke to me and cravings level shoot up… in my head i said i got a waffle maker this christmas so check, i have pandan in the freezer, check and a can of coconut milk, check.. but guess what i don't have a waffle mix… now im pressed with a dilemma: should i nag my hubs to run to the store to get some waffle mix… or run to the store with my PJ's haha… but seriously I want some green waffles right now! 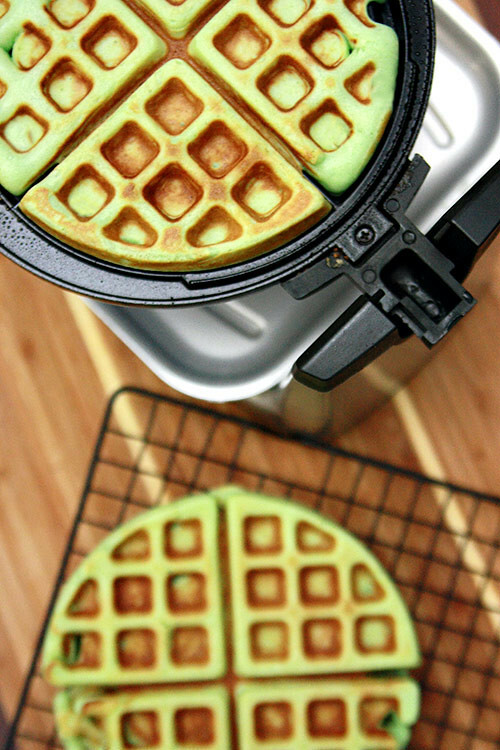 Forget Green Eggs & Ham, Dr. Suess should have been writing about Green Pandan Waffles–how fun! I have enjoyed desserts with pandan, but have never cooked with it. This waffle recipe sounds fantastic, I like that it calls for coconut milk. It must make for a wonderful dessert / breakfast. That pandan waffle and dulce de leche combo was fantastic! That waffle looks delicious. Anything with pandan leaves and I'm all for it! I just want to say that I love you guys. I am newly married, and my husband prefers Vietnamese food. The recipes are delicious and easy to follow. You're a life saver! Thank you for the shoutout!! Those waffles look so delicious and pretty! Do you have a preferred brand of pandan extract? And by the way, I didn't know they have pandan waffles at Lee's. I'd have to check them out!! good old pandan waffle! ahh.. time to dust the dust off my waffle iron! I love your site….is Pandan Essence the same as Pandan Extract? 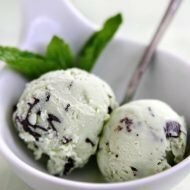 Can I eliminate the Pandan leaf in the coconut milk? Will that still taste the same? @anonymous: yes, pandan extract and essense are the same. if you don't have leaves, just use the extract. We should try baking with pandan. Never tried it before! You'd never think something with that color would have vanilla or coconut flavor notes. Very cool. The waffles look lovely! Thanks for giving me another breakfast idea. Been running out of those lately. I always make pandan juice but I never thought to combine pandan with waffles. I'm sure your kitchen smelled wonderful. 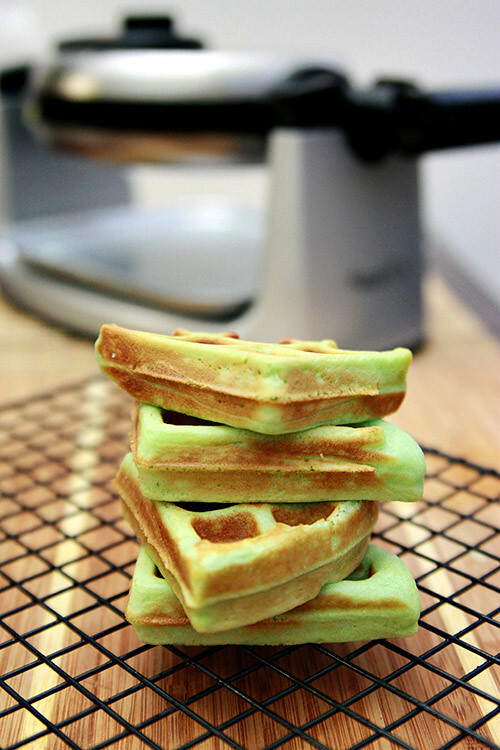 I admit that the smell of freshly made pandan waffles is so hard to resist! It's the best way to lure people into a Vietnamese bakery and works on me every time. i really like the smell of pandan. i was just wondering is it hard to grow it. Your site has become my go to for Vietnamese cooking. All my dishes came out so delicious and more importantly so easy to execute. 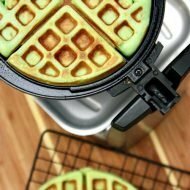 My girls will love this pandan waffle recipe. Thank you for your hard work. Love the smell of pandan leaves. Can’t wait to try out this recipe. Just wondering if you can tell me what brand of waffle maker you use here? Is it Waring Pro? no, it was a cheapie, but waring pro’s are really good. let us know how it goes! i notice that there was no sugar in this recipe or it is already in the batter? my family love this panda waffle and am so happy to find this easy recipe from you can’t wait to try it..
yes, we believe the brand we used, krusteaz is already sweetened, plus the coconut milk is slightly sweet as well. Try the batter and test a small amount, and if it’s not sweet to your liking, you can always add a few extra tablespoons of sugar. When you say “waffle batter”, do you mean waffle mix? Or am I supposed to make the batter and add the rest of the ingredients? yes, instant waffle mix will work great. let us know how it goes! I tried this recipe n even used the same waffle mix brand. It turned out bitter n not sweet at all. Any suggestions? sorry to hear that, and not sure why it would taste bitter..maybe try more sugar? Do you think it would be okay if I leave the eggs out or what can I use to substitute for the eggs? maybe you can look for eggless waffle recipes and adapt that? Sorry I didn’t like this recipe. 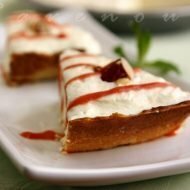 I was so excited when I saw the post since I use almost every of your recipes on this website. I even went out and bought a waffle maker for this recipe. Anyway, the waffles came out well…like waffles. Lol. A bit hard and dry…not like the banh kep they sell at the Asian malls at all. I guess I was hoping for it to turn out like the banh kep at the Asian malls so I was a bit disappointed. But then again, you said this was the short cut version. You only need on1-2 drop of green color. I made this with my friend yesterday. We added some sugar to make it taste sweeter (I think our mix wasn’t sweetened), but otherwise it came out perfect. Thank you! Can I ask you which waffle maker (brand & model) you are using? How do you like your waffle maker? Please reply back to itran1@hotmail.com. Thank you. Looks yummy.It also looks like a four stacked waffle tower.The second picture looks like a puzzle. I tried making this today but didn’t come out crispy? It was more on the soggy side. When you say “waffle batter” do you mean the boxed dried kind without any of the other ingredients it calls for, meaning ONLY the dried waffle mix or the waffle mix already prepared? I’m a bit confused by that.